I’ve been excited to try out two new online music services this week: Google’s Music Beta, and Swedish-based Spotify. Both currently require invites to access in the United States, (which you can ask for here for Spotify and here for Google Music) both are reasonably comparable, and both are super slick, amazing technologies that truly are the future of music. Google’s product however, currently suffers from a fairly large drawback compared to the more mature Spotify, which I’ll explain below. 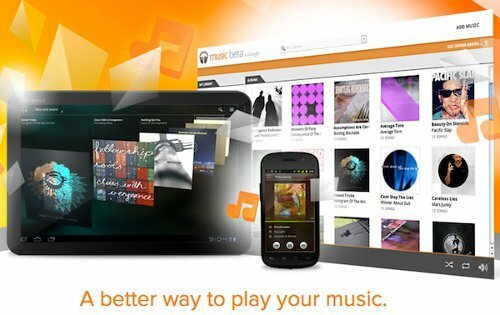 That said, Google Music is a very limited and only-just-launched beta release, so you can’t strictly compare apples and oranges here. Both are free, relatively quick and easy to set up, and allow you to listen to streaming music on your computer(s) and smartphone. They also allow you to upload your music collection to the cloud – in Google’s case up to 20,000 tracks – for free. 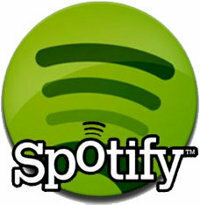 Spotify launched in Sweden in 2008 and currently has more than ten million users in Finland, France, the Netherlands, Norway, Spain, Sweden, the United Kingdom and now the United States. Google Music launched in the last month as an invite-only service and uptake figures are not yet available. Spotify has a couple of advantages over Google Music, but the single biggest advantage is that it has managed to negotiate licensing deals with the four major music labels: Sony, EMI, Warner and Universal. This equates to an online library of over 15 million songs, with 10 thousand more songs added every day. That’s one hell of a free music library to have at your fingertips. Spotify’s other downside is that being a largely ad-supported business model means that along with having display ads in your music player, you periodically have to listen to ads in the middle of whatever songs you have playing, a little like listening to an online radio station. So if you’re in the middle of listening to a classical concerto, having an ad for a top 40 grunge band intrude can be quite disconcerting. Paying between $4.99 and $9.99 for the service removes the ads and gives additional options, such as the ability to stream to your mobile. Back to Google. Because it was unable to work a deal with the big four labels (as yet), you only have access to your own music library, along with a small selection of free music from a wide variety of genres. 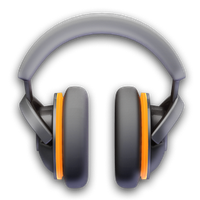 That said, I really like the way you can listen to your music offline with Google Music. It automatically makes available whatever tracks you’ve been listening to recently, and you can also select whatever specific tracks you want available in the cloud. It’s also pretty slick in the way that whatever song you’re listening to will play to the end of the track if you do lose your internet connection, as happened a couple of times with my Droid X when descending into the New York subway. Once your music is online, it’s automatically synched, and new music from multiple computers is automatically synched to your cloud collection. This really is science fiction stuff and will bring out your inner geek in a major way. Already an impressive product, both Spotify and Apple have to be worried about Google’s offering if/when they do finally manage to sort out a licensing deal that will allow you to buy music direct through Google. But which should you choose out of the two thus far? I’d go for both if you have the option, if you don’t, Spotify wins out on the desktop (for now) due to that incredible music library, while the Google Music mobile app’s ability to stream your entire music collection to your phone for free makes it the better mobile choice.